June 8, 2015, 4:04 p.m.
A new Flipboard-clone with massive potential reach, R.I.P. Newsstand, and news stories embedded deeper inside iOS — it was a big day for news on iPhones and iPads. By Joshua Benton @jbenton June 8, 2015, 4:04 p.m. In two hours, Apple killed off its previous home for news apps on iPhone and iPad; announced a brand new home for news orgs (though, importantly, not for news apps); integrated individual local news stories deep into iOS; and made Apple Watch news apps substantially more powerful and useful. Whew! Here’s what journalists and publishers need to know. 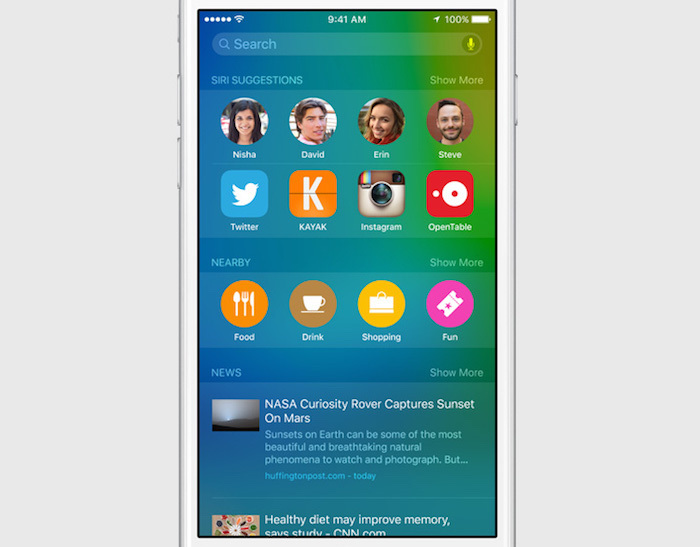 The big news — and pitched as one of the biggest new features in iOS 9 — is an app called News. It’s “beautiful content from the world’s greatest sources, personalized for you,” according to Apple vice president of product marketing Susan Prescott. (Also: Two actual women on stage today!) It’s an awful lot like Flipboard — though the awesome power of default Apple distribution puts it in an entirely other league. This app will be on hundreds of millions of devices within 24 hours of its debut. With the Apple News Format, you’ll be able to create beautifully crafted layouts with custom typography, rich photo galleries, videos, and animations — all optimized for iPhone, iPad, and iPod touch…You can author once and News will optimize your content for all iOS devices, so your readers will have a great experience no matter which device they use. It’s easy to connect to existing content management systems, and you get access to a rich suite of tools to measure user engagement with your content. The base level of publishing is RSS-driven, since interested publishers are being asked to “register to submit your RSS feeds to News,” through an interface called News Publisher. 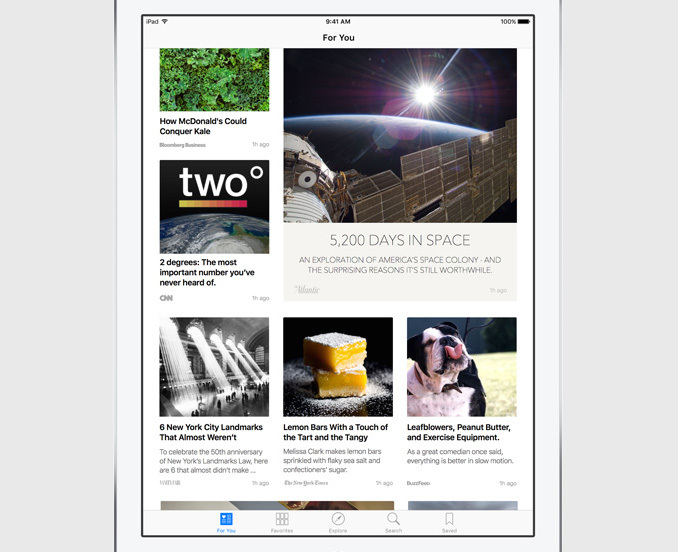 You’ll need to use Apple News Format if you want to graduate up to that brand-specific templating and presentation. (It also appears analytics are only available for Apple News Format publishers.) More information here. The presentation features all the same sort of bells and whistles we’ve seen in Facebook’s Instant Articles — animations, swipe-able photo galleries, fluid movement. (“We think this offers the best mobile reading experience ever.”) And it promises, like other aggregator apps, to get better with time, as it learns which sorts of articles you’re interested in from your activity. 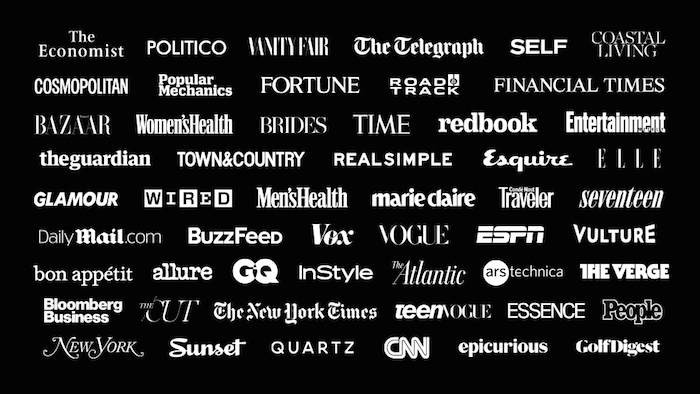 Apple News understands more than 1 million distinct topics, which are “created and assigned by Apple’s expert editors and sophisticated algorithms” — so hey, maybe there’ll be a few jobs in there for journalists too! How big a deal is this? On one hand, small Apple moves — like, say, including the Podcasts app by default in iOS 8 — can sometimes lead to significant shifts in user behavior. On the other hand, people interested in news on phones likely already have habits they may be slow to change — Facebook people, Twitter people, Flipboard people, and so on. Still, it’s easy to imagine a more casual sort of news consumer being excited by the lovely layouts, cross-brand sourcing, and ease of use. It’s another sign that 2015 really is the Year of Distributed Content. It’s not just social platforms like Facebook and Snapchat that are interested in taking in your content — it’s also the device platforms they themselves squat on. 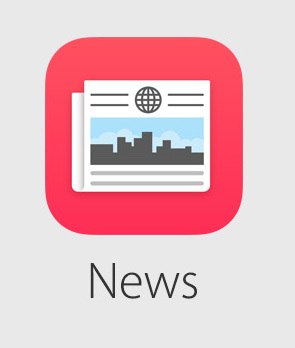 There’s no guarantee Apple News will be a big hit; Google Currents, probably the closest analog up to now, was a flop. But the broader narrative is clear: Individual news apps and individual news brands aren’t the primary point of contact with news any more. They’re raw material, feeding into broader platforms. The loss of power for publishers in that exchange is obvious; the potential benefits remain mostly undiscovered. With the rise of Apple News comes the demise of Newsstand. It won’t be missed. Launched in 2011, it promised to create a special home on iPhones and iPads for news apps, a home with special privileges like better background updates and frequently updated icon images. …apps for publications like magazines and newspapers should never have been buried in a weird little corner of their own anyway. The publishers we work with are making amazing apps that people love to read, love to subscribe to (yeah, that matters!) and one of the biggest constraints on their growth and adoption has been the fact that they’re not just regular apps that can be promoted and discovered right in the app store like everything else. It’s not 100 percent clear what will happen to existing Newsstand apps; presumably they’ll be converted to regular apps and dumped back onto home screens. But the details will be important. If there’s one area where Android clearly leads iOS in user experience, it’s Google Now. The fact that Google knows everything in your email and your calendar may be creepy, but it also gives it the raw data necessary to get quite good at prompting you with the right information at the right time. And while Apple is betting on the strength of a pro-privacy stance, that doesn’t make Google Now any less useful. So one of the points of emphasis in the iOS portion of the keynote was adding intelligence to the operating system — better knowledge of what’s happening inside apps and out in the world. Apple’s Craig Federighi mentioned your phone offering up music when it thinks you’re about to go for a run, or an audiobook when you get in your connected car. It all looks convenient, if in many cases catchup to Android. There are two key ways that news gets integrated into that intelligence. The first is through a new search API that apps will have access to. It’ll require work by app developers to take advantage of it, but if a user searches for “Syria,” it should be able to surface a recent Syria article from The New York Times, The Guardian, or whatever other news apps she has installed on her phone. Not many people search for Syria on their phone, of course — but one could imagine that sort of search habit growing with time, particularly for breaking news. The new version of watchOS announced today will allow apps, including news apps, to make their own complications — small details on watch faces. The obvious idea is a headline, but those will be too long to fit on most watch faces. One could imagine other ideas — a dot that changes color depending on how important the news is? A reminder of stories you’ve saved? As with everything about the smartwatch, screen size will force presentation innovation. But potentially much bigger is the announcement of native applications for the watch, rather than the current setup where the app actually lives on your iPhone. That arrangement has led to slow performance and glacial launch times as the two devices swap information back and forth. 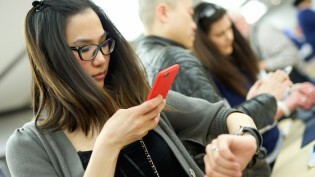 “Performance will be great, responsiveness will be great,” Apple’s Kevin Lynch promised. Apple’s also opening up the watch to new kinds of input and output. It’s giving apps access to the watch’s microphone. (“What do you know about Jeb Bush, Washington Post?”) It’s also allowing apps to play audio directly from the watch (rather than just the phone or Bluetooth headphones) and video right on the screen (“short-form” video, however short that proves to be). This could be big — expect news orgs to put more resources toward 6-second videos. And Scott Simon can now talk to you straight from your wrist. 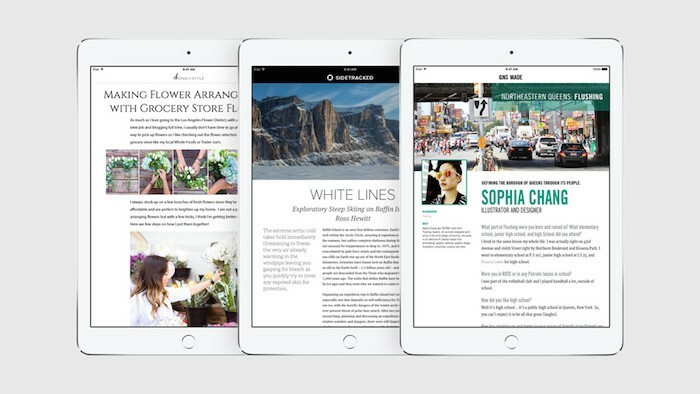 Apple’s been trying to figure out how to charge up iPad sales, and the new package of enhancements today should help — particularly in the content-creation world that working journalists inhabit. Just two changes — multitasking and more usable cut/copy/paste — will make writing and editing on an iPad significantly easier. Personally, it’s the only decent reason I’ve heard yet to upgrade my old iPad 3 from 2012. POSTED June 8, 2015, 4:04 p.m.
Benton, Joshua. 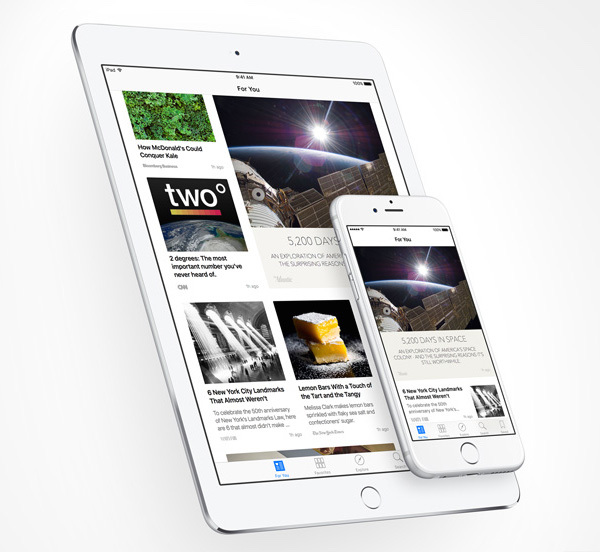 "For news organizations, this was the most important set of Apple announcements in years." Nieman Journalism Lab. Nieman Foundation for Journalism at Harvard, 8 Jun. 2015. Web. 23 Apr. 2019. Benton, Joshua. "For news organizations, this was the most important set of Apple announcements in years." Nieman Journalism Lab. Last modified June 8, 2015. Accessed April 23, 2019. https://www.niemanlab.org/2015/06/for-news-organizations-this-was-the-most-important-set-of-apple-announcements-in-years/.